This Classical Revival frame duplex was constructed in 1899 at 1837 Bryant Avenue North. In 1986, it was moved to its current location on Dupont to make room for off-street parking for businesses on Broadway. 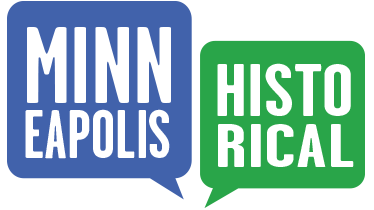 This has happened several times in Old Highland...demonstrating again the local residents' strong desire and tireless efforts to preserve the neighborhood's historic buildings. The home was rehabbed by its current owners in 1986. One of the owners is an award-winning photographer, and had both color and black-and-white darkrooms installed in the home, one in an attic expansion and the other in the basement. State historical architect (and Old Highland resident) Charlie Nelson referred to this home humorously as a "Princess Anne" style, denoting a Queen Anne that was less elaborate than was typical. At two-and-a-half stories, the cross-gabled, steeply-pitched roof covers boxed eaves with just a slight overhang. Note the wide frieze band with dentils beneath the cornice line. This dentilated strip separates the gable from the second-floor wall, and goes all the way around the house, crossing the gable. The one-story, full-width porch is supported by pairs of Tuscan columns. Also observe that the entry to the porch has a pediment which still displays the original wooden siding. Note the original Palladian window (a window divided into three parts, with the center panel being the largest) with diagonal cross-hatching on the third floor. The home’s southern façade has a two-story, gabled bay with a side dormer above. The original transom lights have been removed, along with the shingle siding in the rear of the house. 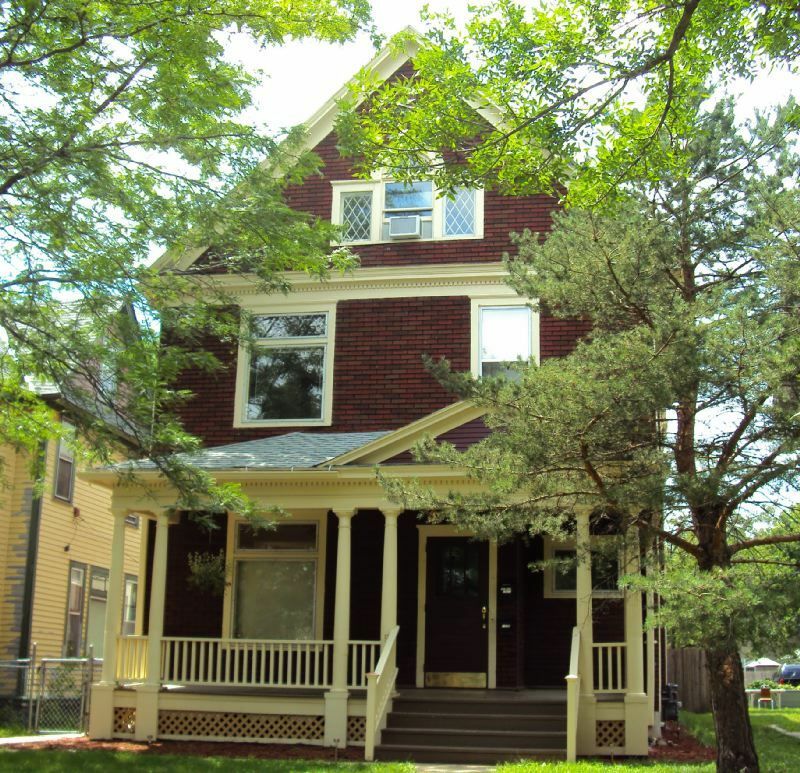 Old Highland Neighborhood Association, “1605-1607 Dupont Avenue North,” Minneapolis Historical, accessed April 22, 2019, http://minneapolishistorical.org/items/show/19.